Jefferson County Cattlemen’s Association back in business! Coyotes – are they a problem? 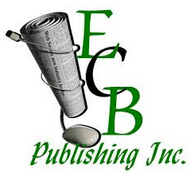 At ECB Publishing, Inc., we believe all people have a right to know the local happenings. ECB Publishing, Inc. has been committed to bringing factual, unbiased news to our subscribers since 2007. If you have any questions or comments, give us a call at (850) 997-3568 or send an email to monticellonews@embarqmail.com.